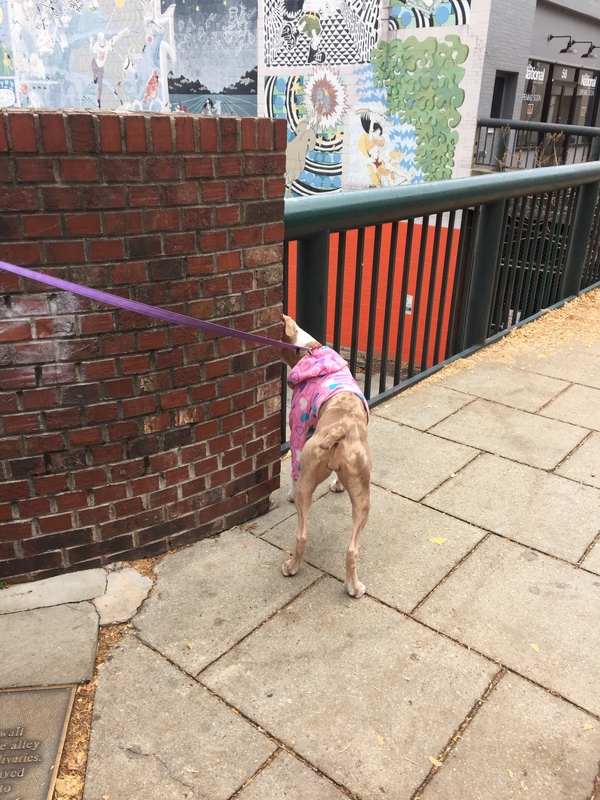 After our trip to the Biltmore, and wandering humans-only through downtown Asheville, we fell in love with how walkable and pet-friendly this city is. Storefronts have bowls of water or treats on hand to spoil four-legged shoppers. There’s a bookstore/wine bar that not only welcomes lupine literati, but has an entire menu dedicated to their sampling pleasure. This place is awesome. We knew a lot of places would be shut down to celebrate Turkey Day, and that was fine with us. After an early season dusting overnight, we are happy to have a quiet day of eating and imbibing. But first, we need to earn our meal, and the dogs need to burn off a little energy. 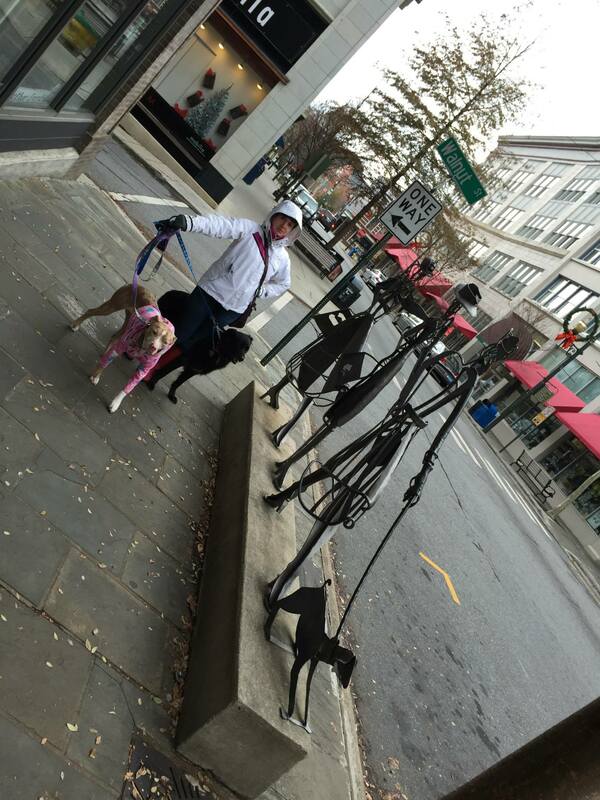 Bundled and leashed, we braved the cold to test Asheville’s Urban Trail. 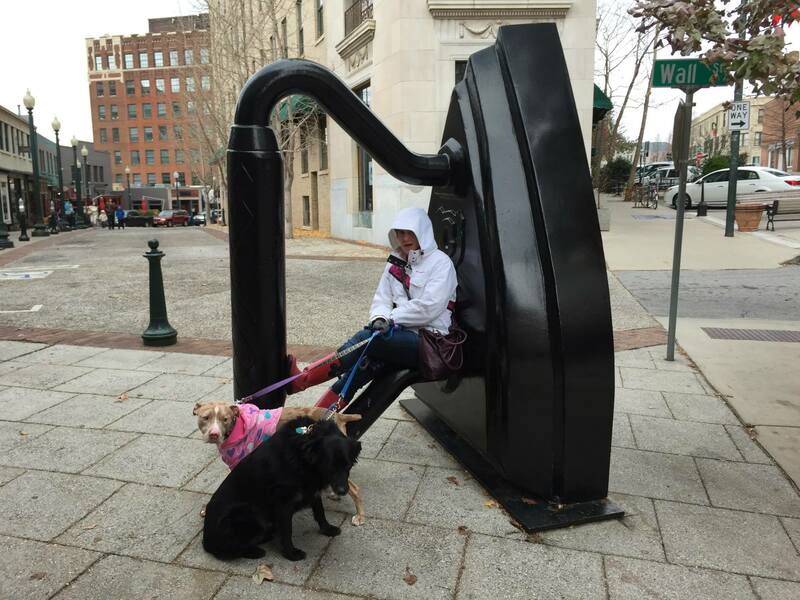 Part walking tour, part art installation, the Urban Trail is a 1.7 mile stroll through 30 landmarks highlighting people places and events clutch to Asheville’s history. We were among the few out and about, and we relished the opportunity to take our time, get turned around (we were horrible at map navigation) (both of us), and enjoy the quiet of the city. Oh the smells! Oh the sights! Oh the strangers commenting on our awesome puppy attire! When you own a dog, you resign yourself to a certain level of mess in your life. Muddy paw prints on carpet after rain. Snout marks stamping upholstery. Dog hair on everything and in everything. Discovering a hole in the pick-up baggie the hard way. Water bowl slosh-over. Slobbery kisses after a particularly rough day, leaving your cheeks perfectly exfoliated. Tumbleweeds of fur rolling through your living room despite daily swifferings. All of this I was ready to accept as a fur-mom. I could handle it, to a degree. But what I never really prepared for– what other furparents don’t disclose– is cheese squished under your fingernails. Pants pockets dusty with biscuit crumbs. Hot dog grease clinging to the grooves of my fingers. Treats. Smell. And the higher the value, the more potent. 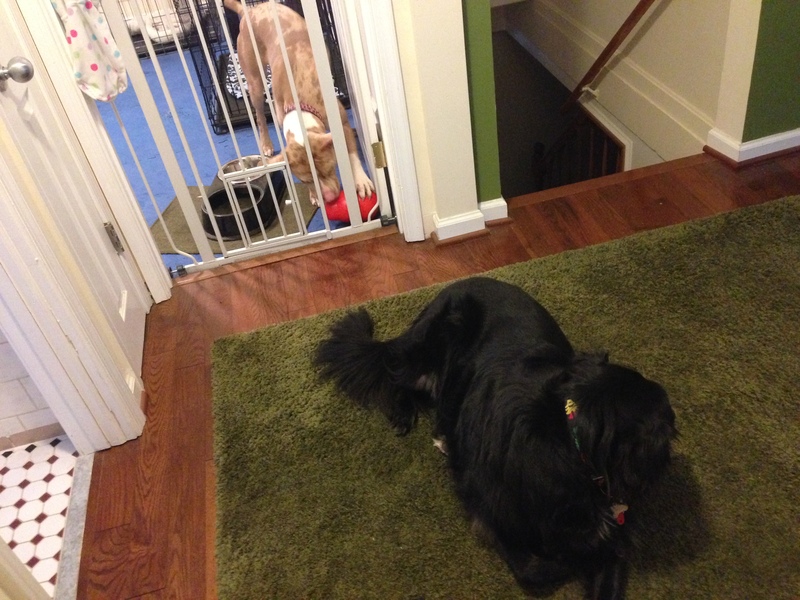 I’m always looking for ways to reward our dogs for good behavior and well-executed cues. Something yummy and different, but not full of junk. Carrots, fresh green beans, apples and bananas are frequent fare during our “You Did It!” exaltations. But for those really tough recalls, the getting attention away from woodland creatures and UPS delivery drivers, we need more. Hence the stinky treats. 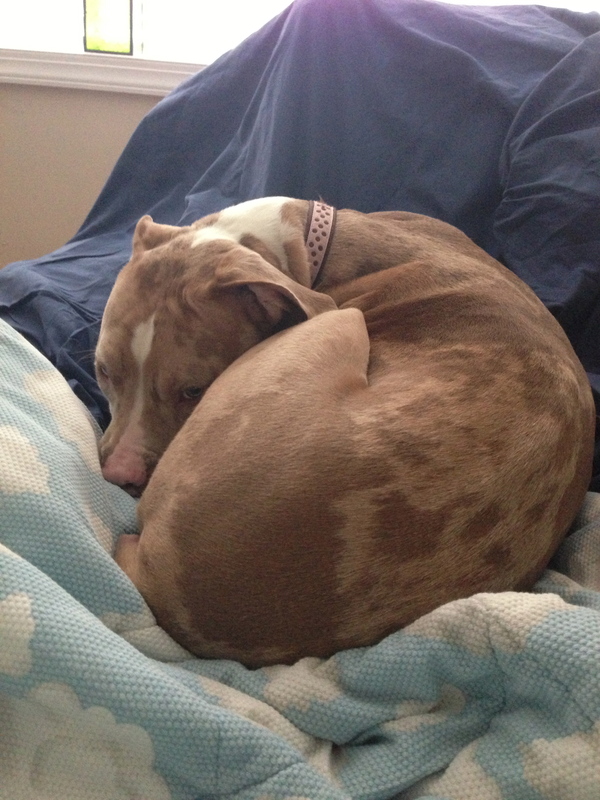 Reading through various blogs, I came across Pitlandia, a blog about a rescue pittie living in Portland. 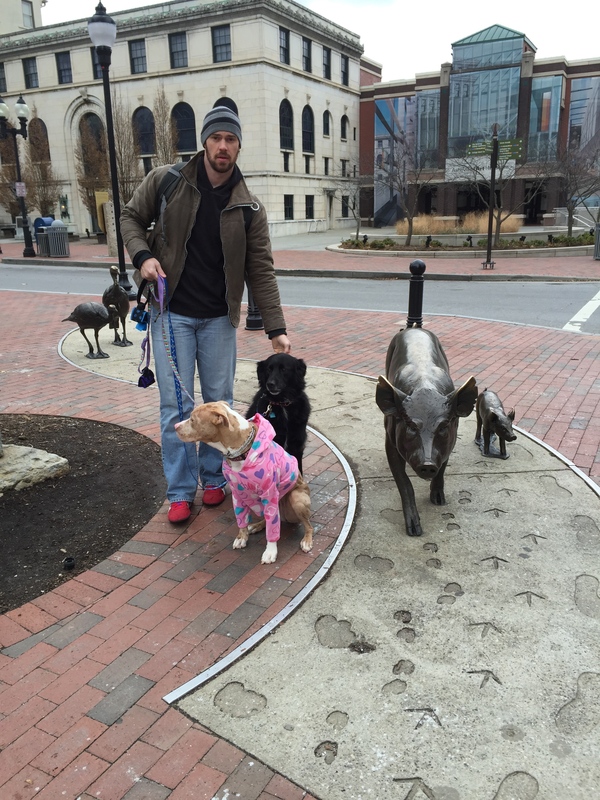 Athena and her mommy are very sporty and on-the-go, and we like reading about their adventures. 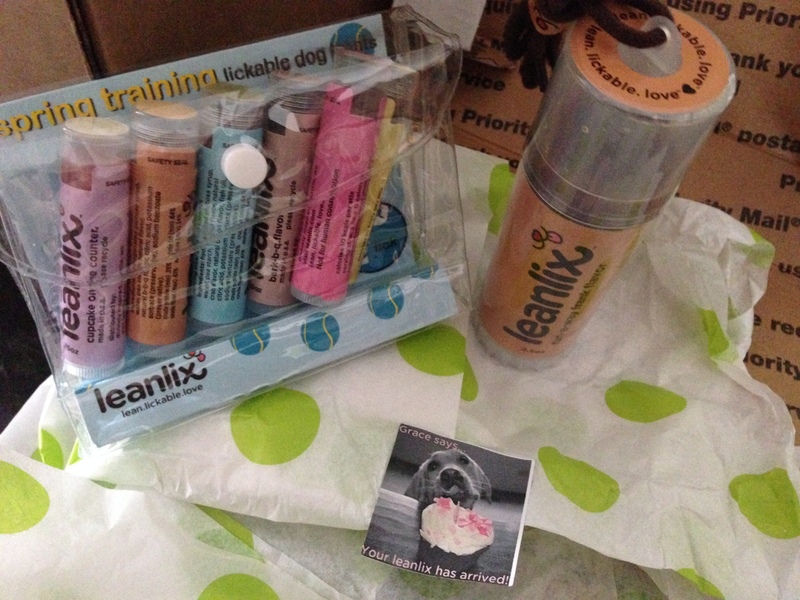 Occasionally they post product reviews, and I was particularly intrigued by Love It: LeanLix. Based in Seattle, Washington, LeanLix was developed by Gracie the Yellow Lab and her mom (Sharon). One snowy winter, Sharon was training puppy Grace in the snow, and grabbed a jar of fluff. Grace did a trick, the lid came off and Grace got a lick. Inspiration struck! As their website says, LeanLix is “a reward that could be licked, low calorie and have health benefits (all while keeping all 5 fingers intact)”… exactly what we’re looking for! With big plans for summer adventures, we thought we’d give LeanLix a whirl. I actually ended up speaking with Sharon on the phone when I placed my order. She was enthusiastic, friendly and so excited about her product and our dogs. We chatted breeds, best LeanLix deployment techniques, and flavors our pups respond to. Later that week, our treats arrived complete with a Gracie sticker! LeanLix are packaged in tubes that resemble chapstick, and they work the same way: twist the bottom to dispense more treat! They come in “littlelix,” like our Spring Training 6-pack, and “Big Dog.” The flavors we’ve tried are bark bq, run-a-way frank, day at the beach, cupcake on the counter, grace d-luxe with cheese, and 1/2 eaten pb&j sandwich. It looks like new flavors are being added every day. While our furbabies like them all, they’re most greedy about licking the grace d-luxe and run-a-way frank. Here’s what we’ve found: MJ and Zozo were a little leery of the treat delivery system at first, but once they tasted them, they were hooked. The littlelix fit in pants pockets, while the Big Dog comes with a neck lanyard for easy carrying. They get excited when the tubes come out of our treat jars, and they’d gladly run away with a littlelix if we’d let them. Our hands are clean, our dogs are happy. I’m happy. Did I mention 3 licks equals zero calories and they don’t break the bank? If you’re looking for something new, check out their site and give Sharon a call (you can also order them online, but I like talking to entrepreneurs). She’s wonderful, they’re wonderful, and Gracie’s sticker is too darn cute. Tell her MJ and Zozo sent you! immediately post-surgery. 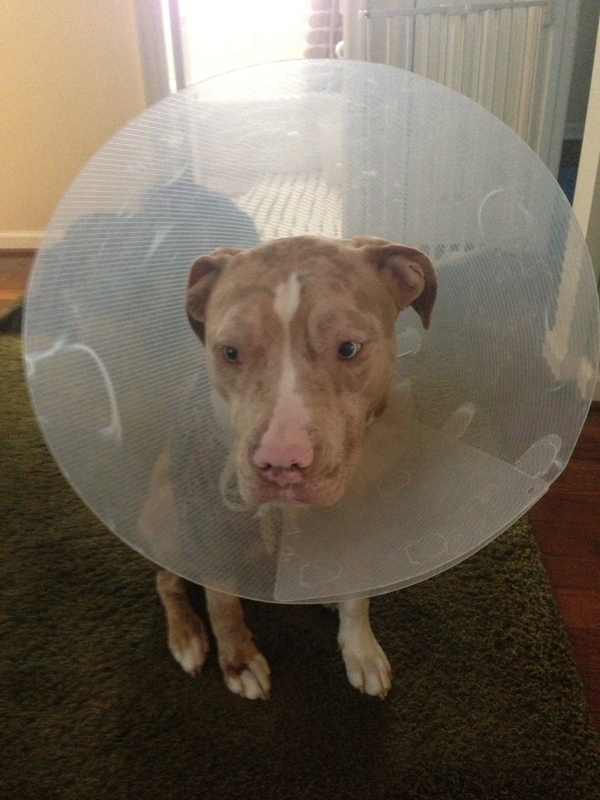 medicated, swollen, coned and anti-social. and i cried because i thought we’d broken her spirit. 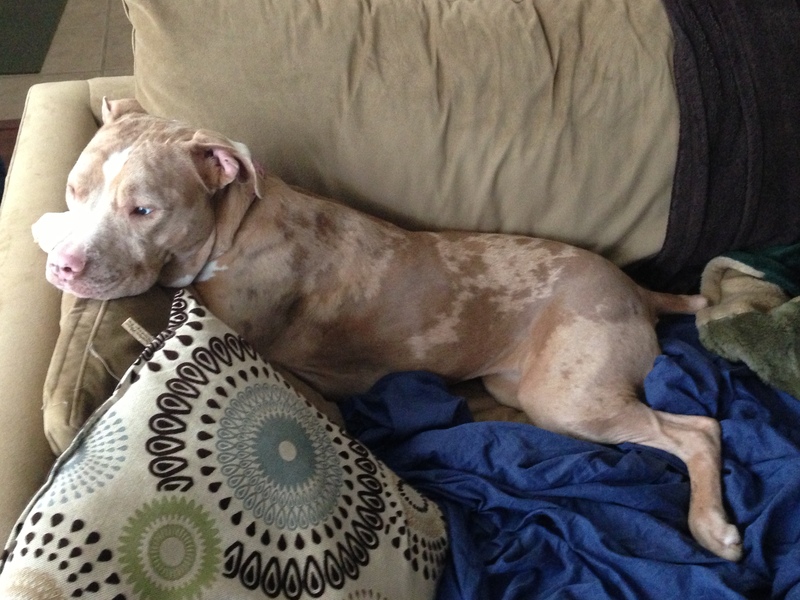 day 1: the morning after, when mj demonstrated that painkillers only enhanced her cute wigglyness. silly, worrying mama. she’s just as spirited as ever. 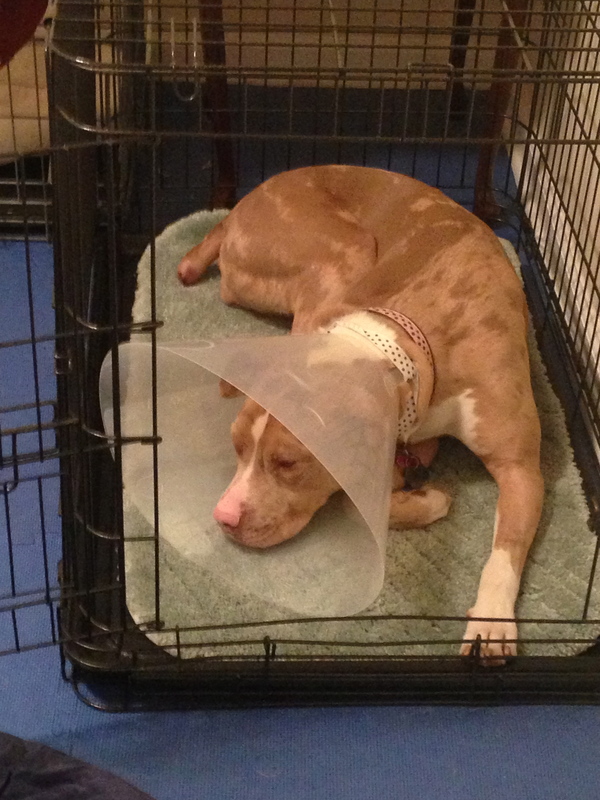 day 2: so long as she was supervised, we kept her cone off. 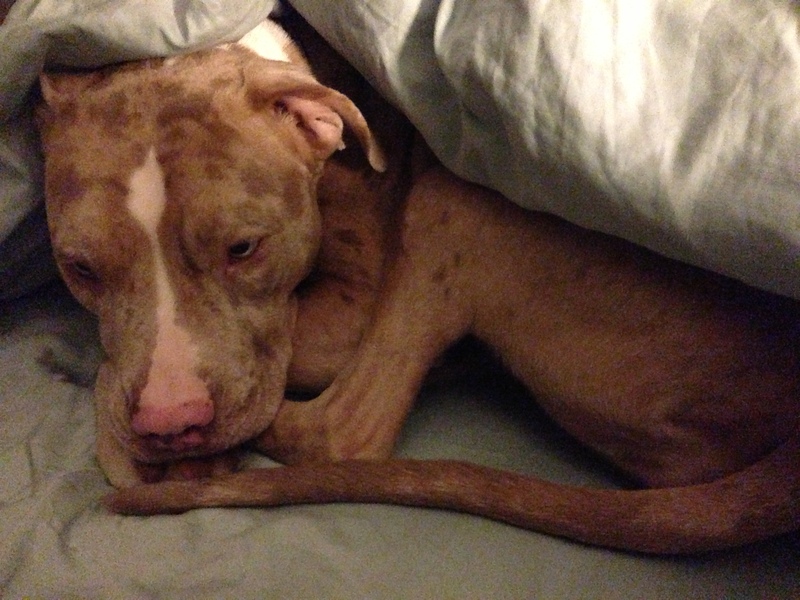 she was way more comfortable, and less whimpery, this way. “maybe i’ll get my stitches out today? ” 7 days post-op. day 10: stitches, be gone! 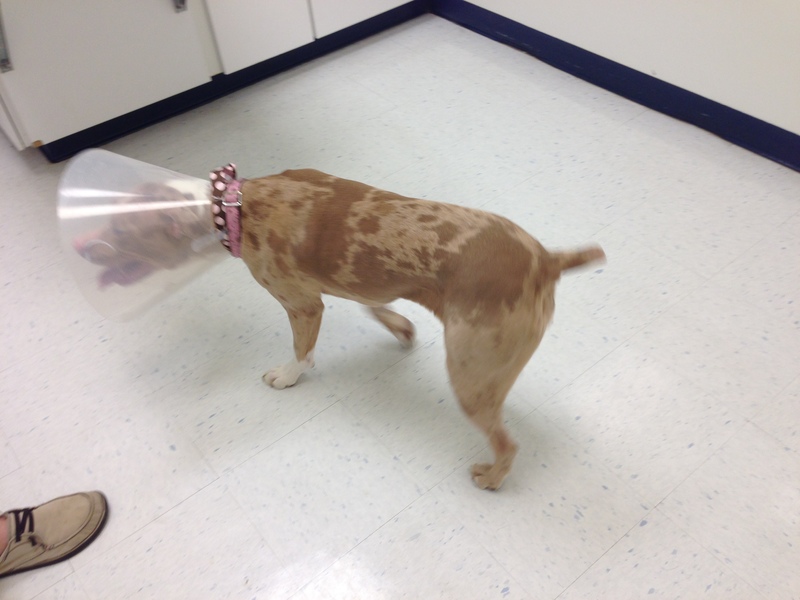 note: she is using a pink and brown polka dot ribbon to fasten on her cone. a girl’s gotta look good. When they were both small and we were teaching house rules and house breaking, Zozo and MJ ate in their crates. It afforded them a contained place for their splashing (they’re both super-messy eaters, which happens to be a proud family trait), and a required quiet-time after meals for digestion. During the quiet-time, James and I usually inhaled our own meals. Now that they’re older, the “rules” of mealtime haven’t changed, but the locations have. We separate the dogs when they eat. Zozo dines in the kitchen, the privilege of the first born furbaby. He sits nicely at his place mat, waiting for his bowls to be filled and to be released to eat (“take it”). He then daintily selects one kibble pellet at a time until his bowl is empty and his water is sloshed all over the kitchen floor. The little girl eats in her room. She has to go to her crate and wait to be released for food, after which we gate her in. She snarfs down her meal like someone will take it away before she’s finished. And then she looks expectantly for more. Hence the separation: if we leave her room open, she’ll try to steal some of Doodle’s food, and a fight ensues. To be very clear, our dogs never go hungry. If anything, they could stand to shave a pound or two off from snacks and treats and cookies and dog beer. Yes, dog beer is a thing. We tried it once in a BarkBox, and they liked it and… well that’s a post for another day. But because MJ eats in such a rush, she’s plagued with burps and hiccups and stinky-poots. So we’ve spent some time investigating ways to slow her down. We’ve put tennis balls in her food dish, forcing her to work around them. She snout-bumps the ball out of the dish or picks it up and shows off her “drop it” skills, then returns to devour the meal. Adorabull. Real Simple magazine offered a discount code to try the Dog Games Slo-Bowl Feeder, from which we expected magical things. It’s colorful and light weight and fairly sturdy and dishwasher safe (score). The kibble bits spread in grooved channels, making the pups work to snag a bite. When we first put this bowl down in front of her, MJ grumbled, “You gotta be kiddin’ me” and huffed in frustration. It took her 10 minutes to eat her meal. The second time we used it, she cleaned her plate in 8 minutes. Then 6, then 5….She figured out that if she hoovers the food, she doesn’t have to work to eat. 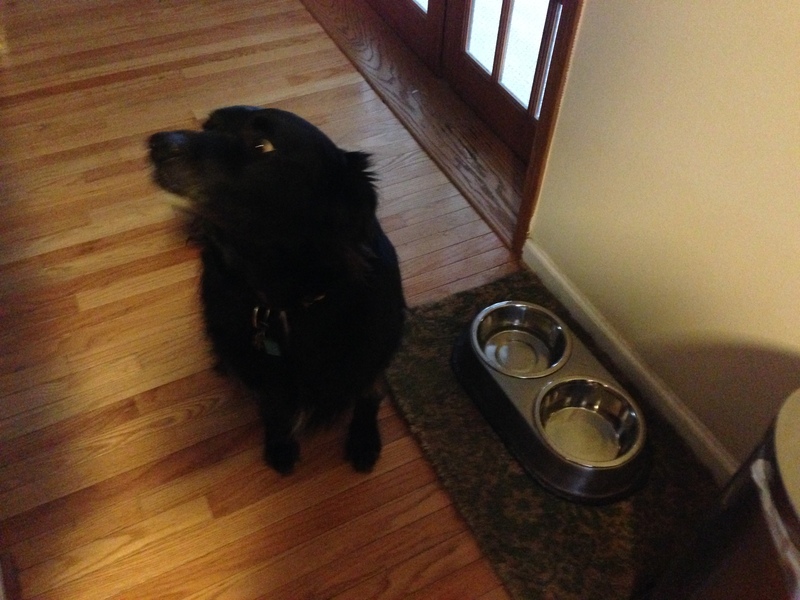 That’s right, MJ discovered a life-hack and outsmarted this very cool food bowl. We’re back to blink-and-you’ve-missed-it-meals. 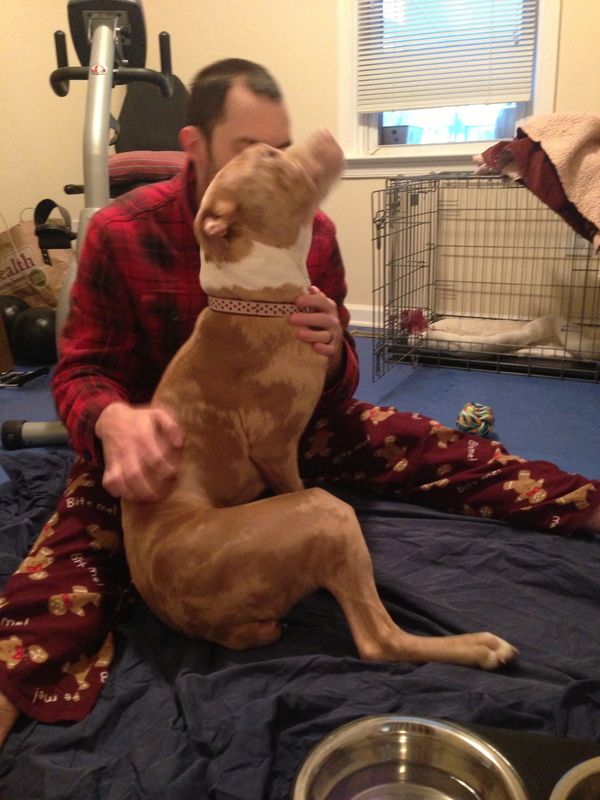 Then I read a great post from Peace Love and Fostering about the Kong Wobbler. Part mental game, part exercise, simply place your kibble serving in the Wobbler, put it down, and enjoy the show. Unfortunately, the way we have the room set up means mealtime requires supervision because the Wobbler can get stuck in corners. That’s entirely our fault, but our pit-nacious girl doesn’t let that slow her down as she plays with her food. Or fights for it. I suppose that’s up to opinion. And because of this delightful device, Zozo now finishes his meal before MJ. He usually hangs out to watch the hunger games, too. Jerk. 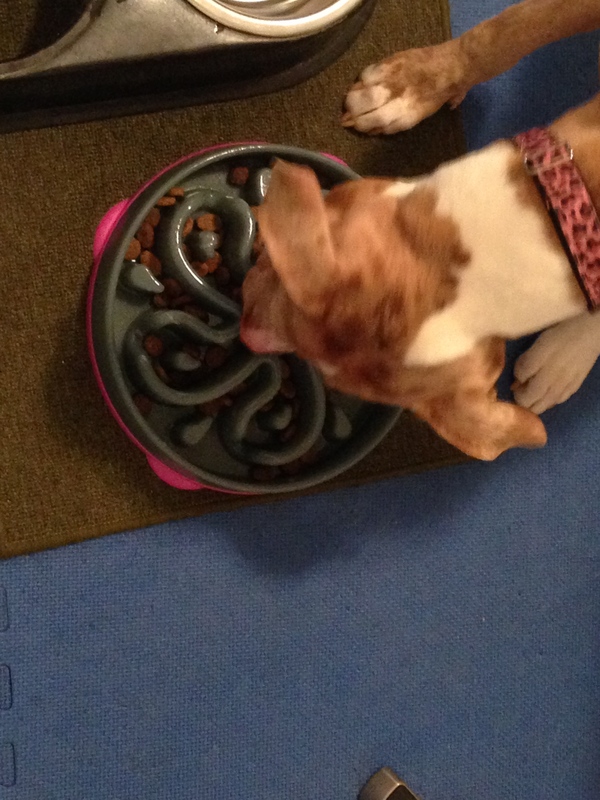 MJ’s brain gets much-needed problem-solving exercise, she eats slower, and she’s less stinky. That is the trifecta of success!